I don't actually feel I'm doing this dress justice here. It moves so well and it truly doesn't capture on camera. I've worn it at least a dozen times since purchasing and have plans for heavy summer exposure. There's something about a great midi dress that just makes the day easier don't you think? I mean really, it's the type of dress you throw on and go. 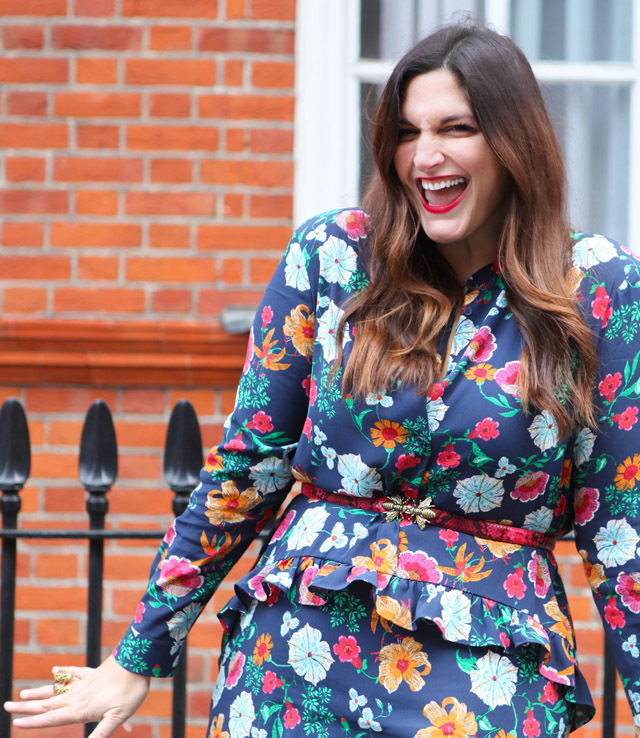 It's my favourite thing about hot weather - your outfits are so easy to put together because really you can throw on a dress and get out of dodge! Alternatively, you can keep the dresses for summer and layer them up for winter, as seen here. 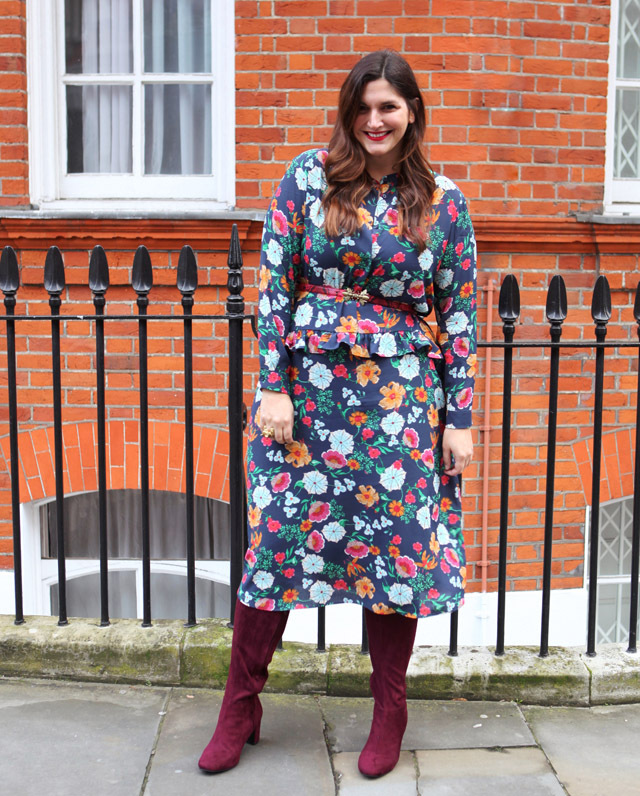 On a warmer day in London I simply teamed the dress with a pair of great boots and cinched the waist with a belt. Easiest ever wear. I do have to come clean about one thing with this dress- I wasn't sure about the middle ruffle. When not cinched this actually hangs quite nicely and loose. It's an odd detail but somehow it works. My next outing, I'll be wearing this with Converse and a smile. I mean who wouldn't smile when we come out of this forever long winter! Spring, spring.... where are you?